Alrighty – I’ve been snapping pictures of effective recycling centers, so I’m going to post them all here, and we can have a discussion about why/how they’re effective during our next meeting. Additionally, think about how we can model this at West, so that we don’t have mixed recycling/garbage in every single recycling or garbage bin. 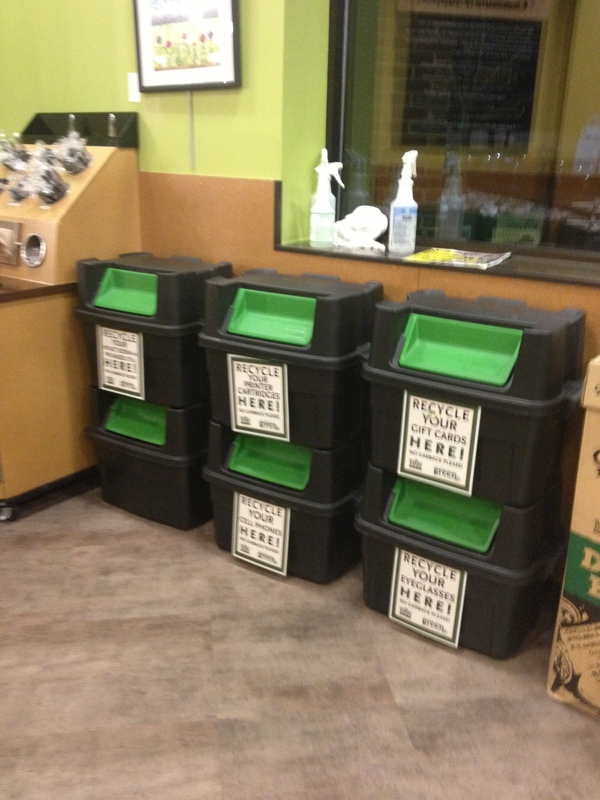 Here’s the recycling center at Whole Foods in Madison. 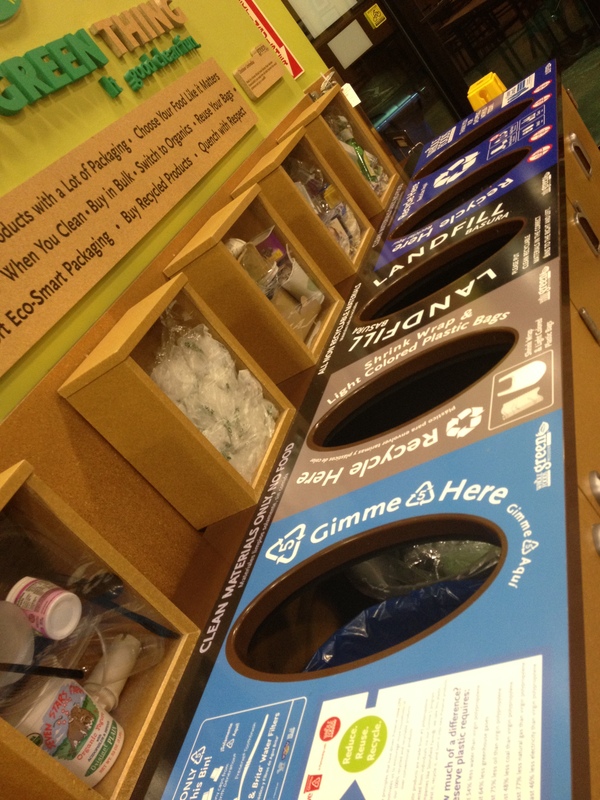 We’re 80 percent of the way there to having a similar set up in our West High LMC Recycling Center. 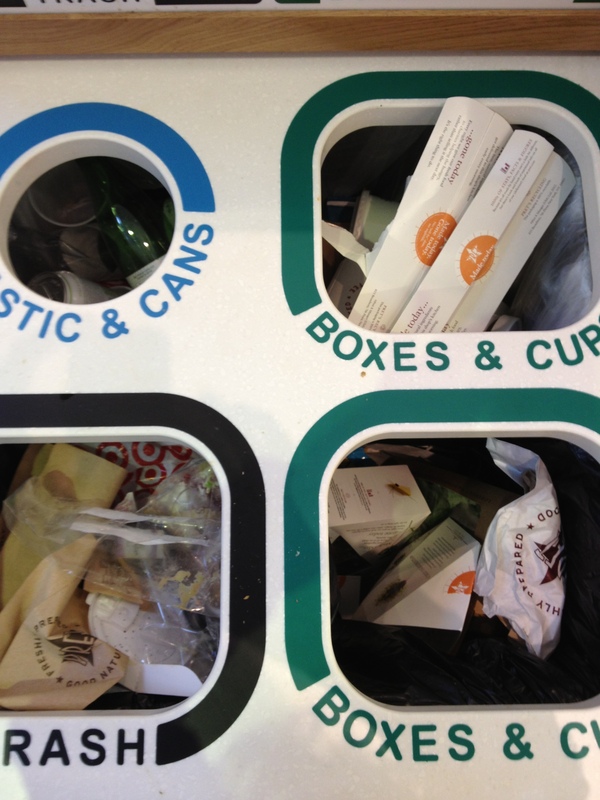 Here’s the trash system at Whole Foods in Madison. 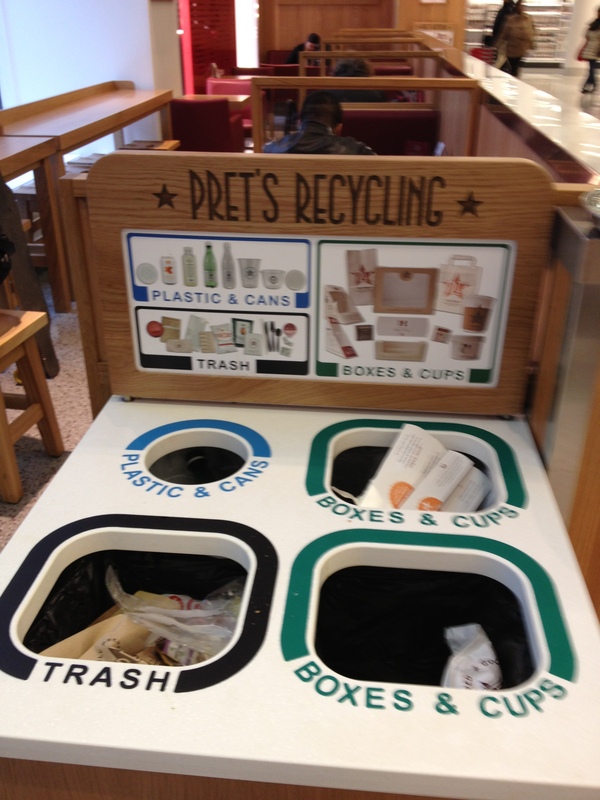 Note how they have pictures, descriptions, and even EXAMPLES of what you can throw out in each bin. People respected the signs here too! Based off what you see here, what do you think we should take from these successful recycling systems and implement at West? Either comment with your ideas here, post it on the Facebook page, email me, or bring it to our next meeting! I enjoyed taking all of these pictures! Perhaps I’ll also do a post with unsuccessful systems – or post pictures of how our school’s current “recycling” system is a failure and how we’re going to fix it. 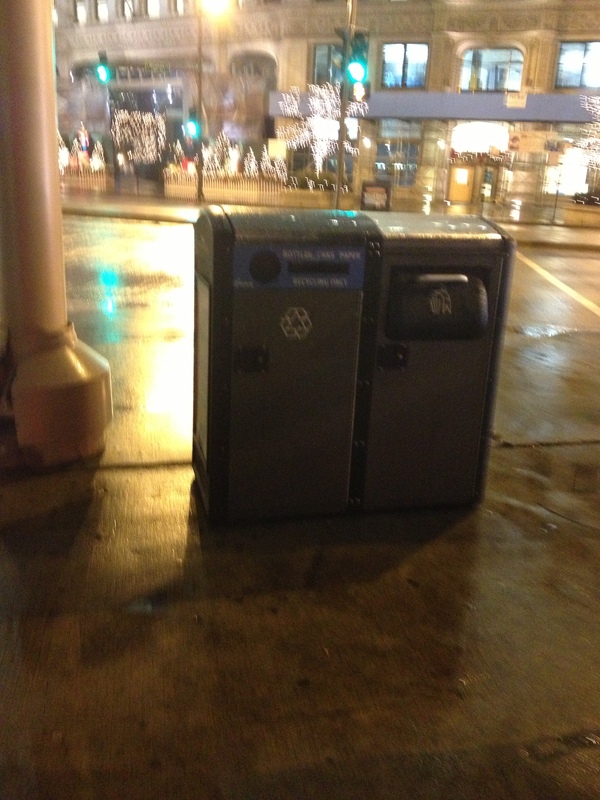 Categories: Recycling | Tags: chicago, Madison, madison west high school, recycling, recycling bins, recycling center, waste, west high, West High School, whole foods, Wisconsin | Permalink.